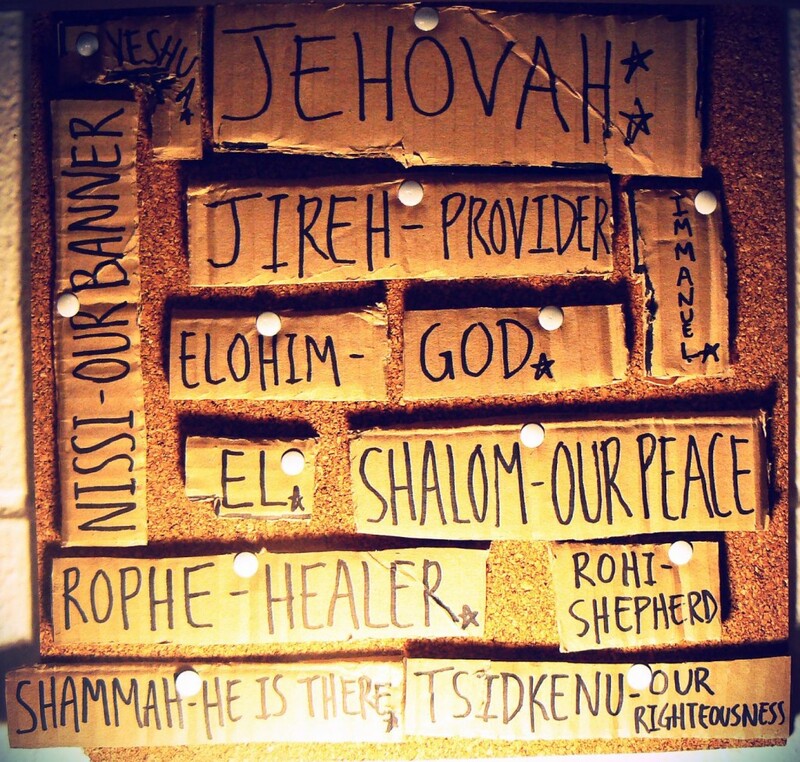 The Names of God used in the Bible act as a roadmap for learning about the character of God. Since the Bible is God’s Word to us, the names He chooses in scripture are meant to reveal His true nature to us. In our twentieth century Western culture, personal names are little more than labels to distinguish one person from another. A nickname may say a little something about the person, but not necessarily about their character. But in Scripture, the names of God are like miniature portraits and promises. In Scripture, a person’s name identified them and stood for something specific. This is especially true of God. If our trust in God is going to grow stronger, we must know Who He Is. As you become conscious of a way God reveals himself to you (or shows his care for you), you begin experiencing him in a personal way, which can help develop your relationship with Him. 1. Quiet yourself before the Lord, allowing your focus to move from yourself and your circumstances to God and Who He Is. 2. Choose one of the Names of God and slowly read the scripture/s that speaks about this characteristic. Meditate on this quality of God and what it means to you. 4. End this spiritual growth exercise with a time of talking and listening to God. May you grow in your relationship with God as you meditate on these Names of God and experience Him as these characteristics in your life!